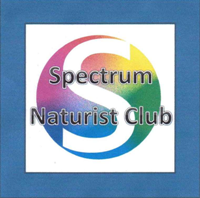 A: We understand that no matter how keen you are to experience naturism, the first time can still be quite daunting. Don't be afraid to tell us if you are apprehensive, as we will do our best to put you at ease. On your first visit we will show you around and answer any questions you have. We are also happy to answer questions by email, and we allow women to wear a costume on their first couple of visits if they really are unsure about the whole naturism thing. We think you'll be popping back to the changing room within a short time once you've realised how relaxed and unthreatening the naturist environment is. Q: I love visiting the club every week, but do I need to stay at home when it's that time of month? A: By all means wear a bikini bottom during your period if you prefer. Don't feel you have to stay away that week. Q: I'm really worried about getting an erection, will I get banned if I do? A: It really isn't likely to happen but, if it does, a strategically placed towel will spare you any embarrassment.